Frank Anthony Vallelonga Sr. (July 30, 1930 – January 4, 2013), better known as Tony Lip, was an American actor and occasional author. He is best known for his portrayal of crime boss Carmine Lupertazzi in the HBO series, The Sopranos. Lip portrayed real-life Bonanno crime family mobster Philip Giaccone in Donnie Brasco, and real-life Lucchese crime family mobster Francesco Manzo in Goodfellas. It was at the Copacabana nightclub where he first met Francis Ford Coppola and Louis DiGiamo, leading to a small role in The Godfather, his film debut. He also co-wrote the book Shut Up and Eat! (2005). Frank Anthony Vallelonga was born in Beaver Falls, Pennsylvania, the son of Italian parents, Nazarena and Nicholas Vallelonga. His family moved when he was an infant to the Bronx, and he grew up on 215th Street near the boyhood home of John Gotti. He earned the nickname "Lip" in his childhood, as a reference to his reputation for having the ability to talk people into doing things he wanted them to do. From 1951 to 1953, he served in the United States Army and was stationed in Germany. He worked at the Copacabana, starting in 1961, as maître d'hôtel and supervisor, and met many famous people. He was working as a bouncer when he was hired to drive and protect pianist Don Shirley on a tour through the Jim Crow South from 1962 to 1963. This tour is the basis of the 2018 film Green Book—co-written by Lip's son Nick Vallelonga—in which Lip is portrayed by Viggo Mortensen. Lip resided in Paramus, New Jersey, with his wife, Dolores Vallelonga (née Venere), who died in 1999. Lip died at age 82 on January 4, 2013 in Teaneck, New Jersey. He was survived by his sons, Nick Vallelonga and Frank Vallelonga Jr., brother Rudy Vallelonga and one grandson. ↑ "Paramus Sopranos actor marks 80th birthday". northjersey.com. 1 2 Diamond, Anna (December 2018). "The True Story of the 'Green Book' Movie". Smithsonian Magazine. Retrieved December 2, 2018. 1 2 3 Coutros, Evonne (February 9, 2003). "Who's The Boss Now?". The Record. Hackensack, New Jersey. p. 14. Retrieved 8 February 2019 – via Newspapers.com. ↑ Coutros, Evonne (January 5, 2013). ""Tony Lip, 'Sopranos' Mob Boss"". The Record. Retrieved 12 January 2019 – via Questia.com. ↑ Kuperinsky, Amy (February 24, 2019). "Oscars 2019: 'Green Book' writer from N.J. wins best original screenplay despite criticism of film". NJ.com. ↑ Coutros, Evonne (April 2008). "That Was Show Biz: Bill Miller's Riviera nightclub was a stage for top talent". (201) Magazine. Archived from the original on November 20, 2010. Retrieved January 11, 2010. ↑ Associated Press (January 5, 2013). 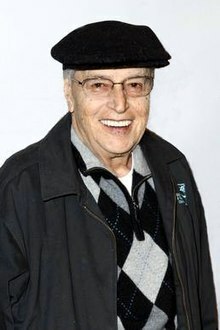 "Actor Tony Lip Dies At Age Of 82, Known For Portraying Carmine Lupertazzi In HBO's The Sopranos". CBS News New York. Retrieved 6 January 2013.